The migration crisis that Europe is facing has increased the pressure for effective and targeted approaches to the healthcare needs of incoming populations, as well as for responding to related health challenges. 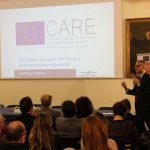 The CARE project aimed to address this gap by developing an integrated healthcare model for the provision of targeted services to migrants and refugees. Such healthcare model is based on principles of interdisciplinarity, transculturality and migration medicine, recognizing that a combination of approaches is required, in order to better respond to documented needs. The aim of the model was to establish a common approach among participating countries, in terms of migrants’ health management, better defining the medical examination process, while increasing relevance, appropriateness and effectiveness of existing approaches. 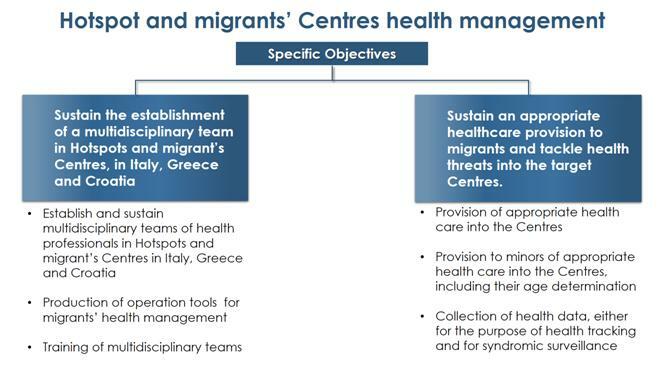 The healthcare models was integrated with tools, processes and protocols for ensuring effective health management of the migration flow at local level, in particular, at hotspots and migrants’/refugees’ centres. Key tools included: a holistic protocol for age assessment of minors; a clinical protocol and a procedure for the management of patients affected by scabies and fever with rush; operational procedures promoting cooperation between different professional groups; a health tracking and monitoring system for documenting migrants’ and refugees’ health data. The mentioned tools equally acknowledge the physical and the mental health component. The healthcare model was implemented by multidisciplinary teams, composed of medical doctors (dermatologists, infectious disease specialists, paediatricians), adolescence psychologists and transcultural mediators. This was critical for ensuring that migrants and refugees had access to a variety of professionals, who are needed in order to truly provide a multidisciplinary approach, overcoming medical assistance in emergency contexts. The multidisciplinary teams provided by the CARE healthcare model in hotspots and migrants’/refugees’ centres were composed of: 1 paediatrician, 1 dermatologist, 1 infectious diseases doctor, 1 doctor for routine clinical examinations, 1 adult psychologist, 1 child neuropsychiatrist/developmental psychologist, nurses and transcultural mediators. This personnel arrangement was achievable into the Italian hotspots only, given that in the Greek hotspots the majority of them were be working on a wider area, both into the Centre and into the public health structures. The development of specific operational tools, such as clinical protocols and health records, supported the multidisciplinary teams in providing appropriate healthcare to migrant and refugee populations. A Digital Health Record (CARE DHR) was developed in order to make available to migrants their own health data throughout their journey. Data were stored in an electronic device. The multidisciplinary team fulfilled the paper form of the IOM/ EC multilingual health record provided to the migrant as an additional health record. Moreover, internal clinical procedures and protocols were developed in order to manage local clinical emergencies and define the operational relationships between health staff and other actors working in the Centre. To this purpose, site visits were organized with the participation of WP leading partners engaged in the production of project tools. A form for the online syndromic surveillance was also available, giving doctors the possibility to early detect severe clinical situations well before diagnosis is confirmed. Last but not least, a protocol was developed in order to define the operational procedures to assess the age of unaccompanied minors by using a multidisciplinary approach. The planning of the described tools took advantage of the specific experience of Italian health services in the reception of migrants and refugees. 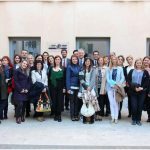 All professionals involved in project activities were trained on the issues of migration, tropical medicine, transculturality and relationships with children, on the basis of a training programme that was specifically developed for the purposes of the CARE project. Training was provided both directly to health professionals and using a training for trainers approach, in the Member States involved. Health professionals received specific training on the use of operational and clinical forms, such as the health record and the syndromic surveillance form, as well as with basic instructions on clinical DB management. Competencies on the health needs of people from different cultural contexts were developed and strengthened to ensure appropriateness, effectiveness and respect for the sense of suffering of migrants (i.e. culture-bound syndromes). 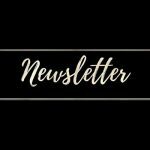 This macro-activity provided the way to complement and sustain the work of all professionals involved in project activities for the benefit of migrants’ health. 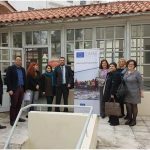 Overall, the CARE training programme aimed at ensuring a common approach in migrants’ health management, taking into account context specificities. In particular, training provided one basic module addressed to the whole multidisciplinary team, on migration medicine and transculturality, as well as five specialist modules for the team members who were directly interested (holistic protocol for age assessment, communicable diseases, clinical database management, infectious diseases and dermatology). Training planning ensured replicability and flexibility given the adaptation constraints that the different contexts do show. Provision of appropriate health care into the Centres. This macro-activity continuously evolved, according to protocols, internal procedures and ad hoc guidelines, which were created and revised . 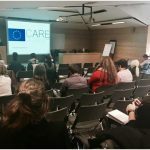 These operational tools were produced also taking into account the relevant results of other activities of the CARE project, mainly the health monitoring and tracking tools. Health care provision included transculturality, migration medicine and culture bound syndromes, with the aim of meeting, in the short period of stay, the real migrants’ health needs, even not explicit. To this purpose, study site visits were held. Activities also addressed relevant health threats, which were monitored into migrants’ Centres. Particularly, monitoring was assured by the health staff in order early detecting those syndromes which were a threat not only for migrant’s health but also for the entire community. This activity was based on the multidisciplinary approach of the team, providing the presence of a paediatrician and a developmental psychologist. Professionals were able to assess the age of the minor trying to avoid the execution of an X-ray, that is the current tool used for age assessment. Collection of health data for health tracking and syndromic surveillance. Data collected by doctors during clinical assessment were stored into a local DB, in order to be processed and analysed. This database was realized in the framework of project activities, in compliance with relevant data protection requirements. For this purpose, developers took into consideration relevant documents/crafts already produced under previous success experiences as well as the prototype developed by the Italian Red Cross and the Italian Ministry of Health. This website is part of the project ‘717317/CARE’ which has received funding from the European Union’s Health Programme (2014-2020).